I have a confession to make. I might have been the worst arminian in the history of arminianism. Long before I knew what Calvinism was, and long before I’d ever heard of TULIP, I believed in a form of definite atonement (DA). I had reasoned that if God knew who was going to believe and who wasn’t, that Jesus must have only borne the sin of those he knew would eventually believe, otherwise hell would be populated with atoned for and forgiven people. Furthermore, I believed that Jesus’ prayer in the Garden for those who would eventually believe meant that he planned to only die for them on the cross. The difference between then and now is that I believed God’s knowledge of believers was based on a passive foreknowledge, not on any sort of decree. It was a terribly sloppy soteriology, and I had no worked-out doctrine of atonement to help me make sense of it all, but I do think this admission means I might have been the worst Wesleyan-Arminian that ever existed. Many new Calvinists struggle deeply over the question of the atonement: was it universal, with the intention of trying to save all mankind, or was it specifically intended to redeem the elect? For me, this was a relatively inoffensive doctrine once I came around to the other four points of the beautiful flower of Calvinism. I found the idea of atoned for and forgiven people burning in hell be a far more unthinkable and offensive doctrine. The editors of this present volume define definite atonement as follows: “in the death of Jesus Christ, the triune God intended to achieve the redemption of every person given to the Son by the Father in eternity past, and to apply the accomplishments of his sacrifice to each of them by the Spirit” (33). In some ways its difficult to review From Heaven He Came and Sought Her (FHHCASH). The book is 700 pages, with 23 chapters written by 21 authors, each organized under one of four areas of interest. Part I is geared towards addressing historical concern in relation to DA. In Part II nearly 200 pages are devoted to addressing DA in regard to specific Scriptures. Part III is intended to deal with the systematic issues related to DA. Finally, Part IV of the book deals more closely with DA from the perspective of evangelism and pastoral care. The difficulty of reviewing stems from the variety of authors, the sheer number of chapters, and the fact that this is a blog post, not a theological journal that can run 30 pages in length and detail every argument. In the end, readers will have to forgive my brevity and resistance to summarizing every chapter. All in all, I think that the editors plotted the map well when they considered the structure of such an ambitious book. One need only look at the Table of Contents to get the impression that the editors tried to cover definite atonement from as many relevant angles as could be done. 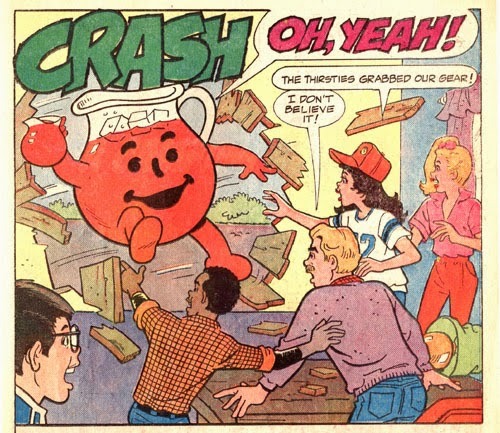 My first impression of FHHCASH was to think of this as an introduction to definite atonement, which was a mistake. While there are certain chapters I would direct someone to if they wanted to understand the issues, the book can get quite complex towards the middle (as it should, for such an important issue). With regard to beginners, if one begins even with chapter 1, they will find that the authors assume a certain familiarity with the subject on their reader’s part. It is in that sense that I would probably recommend a neophyte begin at the end of this work; particularly the last two chapters. One of those chapters is by Sinclair Ferguson and addresses pastoral issues related to assurance and what bearing DA might or might not have on it. The other chapter is by John Piper and deals with the larger scale question of what bearing the truthfulness of DA has on the chief end of the church to glorify God and enjoy him forever. One of the most important questions I asked myself while reading this book was whether the arguments of hypothetical universalists were being represented fairly. The authors are quite conscientious about using actual arguments from actual theologians with opposing viewpoints. Men such as Amyraut, John Davenant, John McLeod Campbell, Karl Barth, Bruce Ware, and Mark Driscoll are names that frequently come up throughout. They are quoted extensively and the authors seem to fairly engage with their viewpoints. I have read some reviews where others have said misrepresentations and caricatures are used in the more polemical sections of this book. The places where that may happen is in those sections where general perspectives (I'm thinking of a few places in Letham's chapter that stand out in my memory) are engaged with and not specific authors. I understand this temptation, but thankfully most of the polemics in this book are dealing with the actual views of actual theologians whose books are actually in print. I already stood persuaded that definite atonement is taught in Scripture before I read this book. I am not an unbiased reviewer. That being said, I think this will probably become the book that opponents of DA will need to interact with in the future. 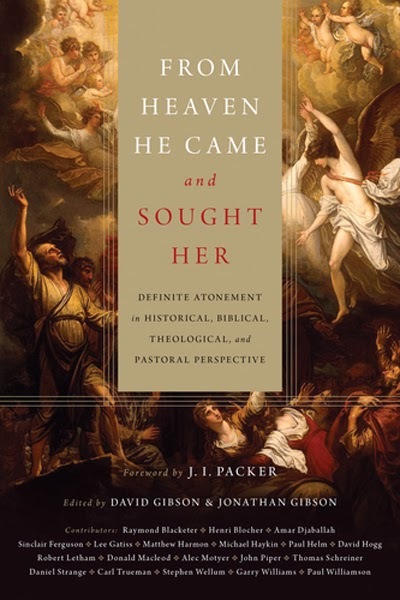 Primarily, I think this is because From Heaven He Came and Sought Her engages with the best opponents of DA in a way that (I think) is fair, rigorous, comprehensive (in its scope), and pastoral. Will the collective argument set forth in FHHCASH persuade those who hold to hypothetical universalism? Certainly not all of them. I know a few proponents of HU who are reading this book now, and I am quite eager to see how they interact with FHHCASH, and especially to see if they feel their best works were fairly engaged by the various authors. You will come away from this book with a more robust understanding of Hypothetical Universalism. It’s more sophisticated than most of us give it credit for! It may surprise some of you to know that defenders of HU do more than just quote John 3:16 until their heads fall off. You will come away from this book with a more robust understanding of Christ’s work on the cross. As you're reading this book you will probably find yourself worshipping the God who has perfectly purchased and atoned for his people. If you don’t then you’ve got some ice-cold blood running through those veins. You will have a future resource for thinking about “problem texts” (we know they’re there!) that defenders of definite atonement need to be prepared to discuss. I loved the book. I knew I’d love it before I read it based on other reviews, the blurbs, and the hype. There are weak(ish) chapters (Hogg and Haykin), there are truly informative chapters (Djaballah’s chapter on Amyraut—whose works are only available in French stands out, along with the chapter by Gattis on the debates at Dordt), and then there are chapters that are absolutely essential reading (Letham, Motyer and Garry Williams). Even the relatively “weak” chapters here are still important reading and helpful, but if somebody is going to browse the book and read some things and not others, I would make sure that Motyer’s chapter and Letham’s chapter receive their special attention. As I said before, I strongly suspect this will become the go-to resource for years to come with regard to definite atonement. Believers in DA will find their appreciation of the atonement reinforced by this book. Opponents of DA will find numerous sparring partners here as well. The Gibson Brothers have done a great service to the church by editing this volume. Also, it’s officially the prettiest book that I own. The summer after I graduated from High School was the most carefree and memorable time of my life. It was filled with camping and driving my truck all over Kansas with friends, listening to Tom Petty, and dreaming about the future. It was also the summer that I saw the film Gladiator. I was just a teenager. I'd never seen a real film epic. I didn't know what a proper film epic was like. The closest thing to an old Hollywood epic I'd seen was The Sound of Music. 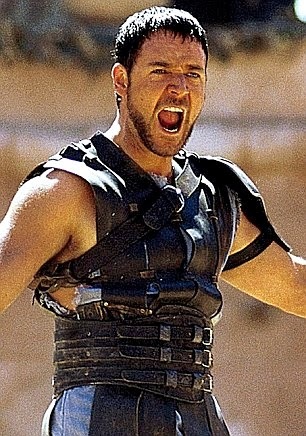 I saw Gladiator, and my favorite thing about the film was the triumphalism of it all. The movie gave you a bloodlust for Commodus, and in straightforward Hollywood fashion it was satisfied by the end. There was a triumphalism and a victory and something that gave me, as a young man launching in to the world, a sense that the world was also mine for the conquering. 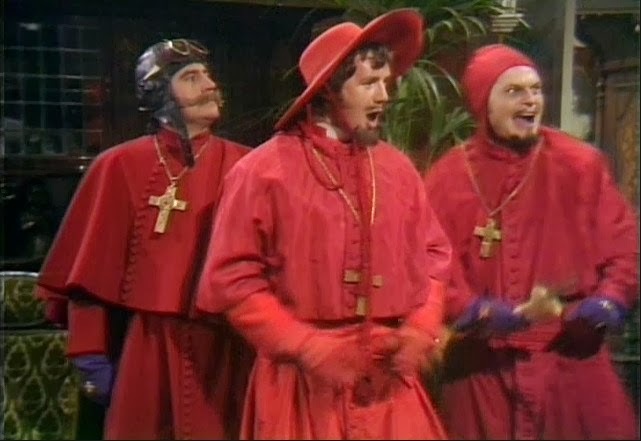 It sounds so dumb now, but that's really what the world looked like to me back then. A year later I had an opportunity to see Lawrence of Arabia. By this time I'd had in my mind an impression of what a grand Hollywood epic would be like. The film was a huge disappointment to me. At first it was exciting, but the film ended with Lawrence very unhappy and broken. It didn't appeal to me because I wanted victory, clashing swords, and happy endings. Soon after, I watched Ben-Hur (the one with Charleton Heston) and basically expected to see Gladiator again. I was shocked by how liberally Gladiator borrowed from Ben-Hur, and so I thought I could predict the film's formulaic ending, but was again disturbed when I realized this was a film that dwelt on the brokenness of its protagonist and dissatisfaction with the revenge that was being sought throughout the movie. This time, I got it. This time I understood that something was wrong with me. I wanted flashy Hollywood spectacle and considered something inferior that was actually offering a mature exploration of human brokenness. As a young man, I wanted the flash and the victory. Now I'm in my thirties, and I know that doesn't make me a wisened old man, but I have had my share of both beautiful and painful experiences in life. I've been to my father's funeral. I've failed at things I've tried to do. I've held my baby boy in my arms as his last breath left his body. Even those closest to me don't realize I've wept great tears more times than I can count. Life hasn't been the way I thought it would be when I was a fresh-faced High School graduate. It's a beautiful and painful world we live in. Tonight, I watched Lawrence of Arabia again. 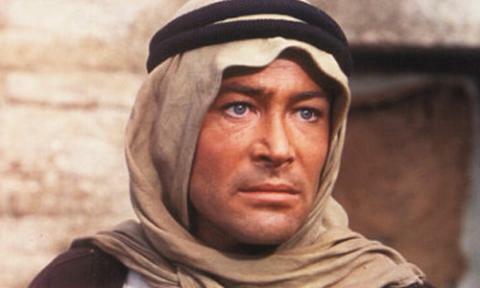 Peter O'Toole is such an amazing actor, I became lost in his performance. For the second time in my life I watched the part where Lawrence has to shoot the man he went back through the desert, risking his life to rescue - Gasim was his name. I don't know about the real T.E. Lawrence, but the Lawrence in this movie never recovered from the moment he had to shoot Gasim. He was never the same man. A hardness came upon him. He could never go back to being the person he was before. Maybe it wasn't wrong what he did - he was administering justice, after all. But it changed him, regardless. The point I'm trying to make is that now I realize that life isn't Gladiator. We get hurt, and we don't always heal. We change and grow. We don't stay the same, and yet paradoxically we don't move on, either. Part of growing up involves experiencing life as it comes and having the perspective to see how you've grown through it without resentment or bitterness, trusting God's providence in it all. This is a lesson I wasn't ready for, coming out of High School. It's one I'm still trying to get used to.